With so much natural beauty in our state, it’s our job as Kentuckians to preserve it the best we can in its natural state. 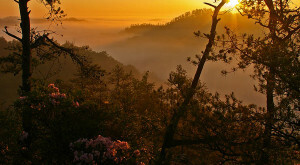 One way that this has happened over the years is with the formation of nature preserves. 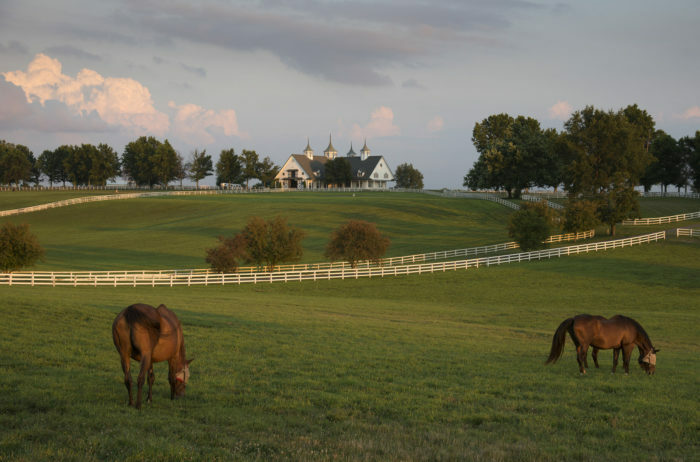 These properties are often overlooked, yet often the most naturally stunning parts of Kentucky. 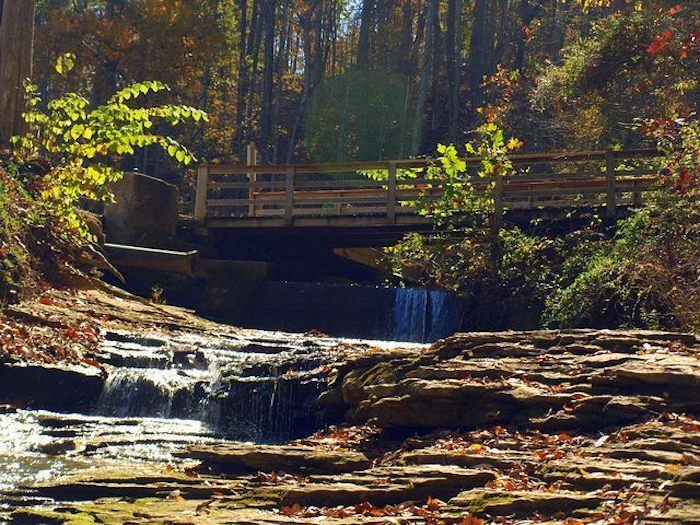 Located in Radcliff, adjacent to Fort Knox, Saunders Springs Nature Preserve is a thickly wooded area with plenty of diversity in its landscape, scenic spots to relax and a hidden forest that’s just begging to be visited. 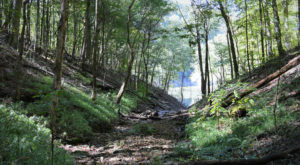 Saunders Springs Nature Preserve is made up of 26 acres, plus a 73-acre annex, of property that's so exciting to explore. 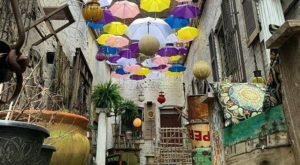 The historic land still has many features that have long made it important to the people of the area and it's been maintained in a mostly untouched state for respectful visitors to enjoy. Both the Preserve and Annex are open daily throughout the year from dawn until dusk and it is free to visit. 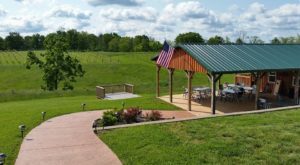 If you're not from the area but would like to visit, there are many other interesting places nearby to warrant a weekend getaway to this nature-lover's region of Kentucky. 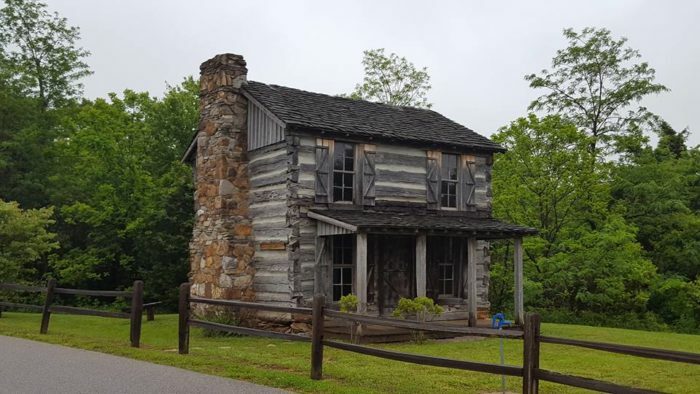 There are many historic features on the preserve and the two 1800s log cabins are definitely a must-see. They give you an idea of what life was like on this land years and years ago. On the 26 acres of the preserve, there are 10 different named trails that make up a total of two miles. There's a handicapped-accessible trail that winds through the forest, past a waterfall, and to the picturesque lake. It's not often that rustic areas like this are accessible to all, which makes Saunders Springs that much more special. The rest of the trails on the preserve as well as on the annex vary in level of difficulty and scenery. 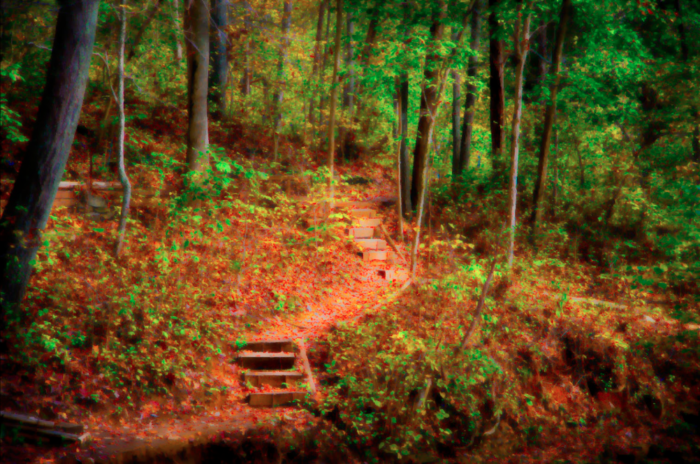 Many do have steps that take you in and out of the woods, past creeks, and into the peaceful solitude of nature. 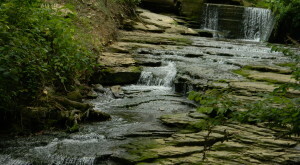 The clear, cold water at Saunders Springs was used as a water supply for the area for many years. It's now the highlight of the preserve as it rushes through thick foliage, brilliant color in the fall, and often snow and ice in the winter. Those who have discovered Saunders Springs love it for its serene atmosphere and the way it allows you to escape into nature. It's a beautiful place to relax and rejuvenate all year long and you'll typically find all the quiet and natural beauty you could ever want on the preserve. 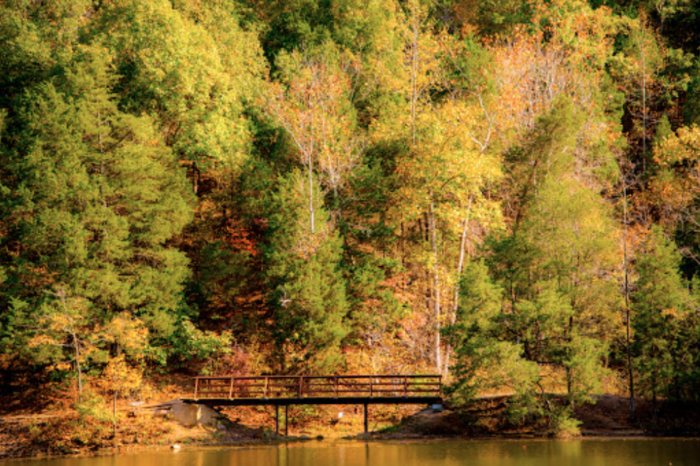 Thankfully, Kentucky has preserved many beautiful landscapes throughout the state, and Saunders Springs is a true gem. 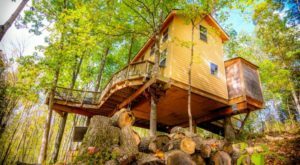 If you love nature, peace and quiet and stepping through history, then this hidden forest in Kentucky is a real life dream come true. 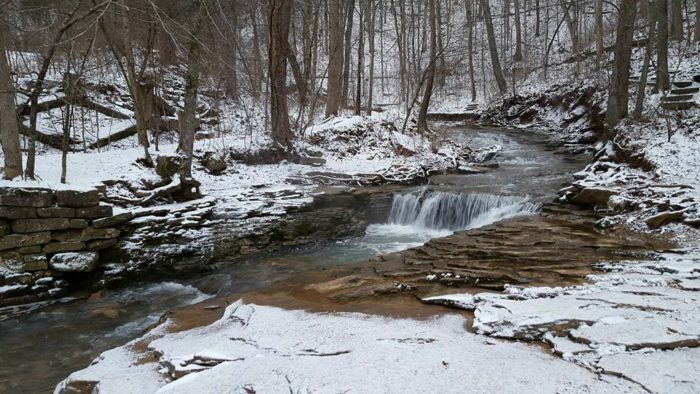 Saunders Springs Nature Preserve is a natural hidden gem in Kentucky that’s thankfully been set aside for us to enjoy and so that it continues to flourish for years to come. Have you been to this particular nature preserve? 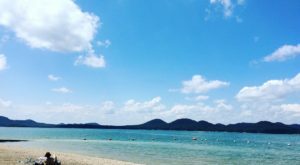 Do you have another favorite? Let us know in the comments! 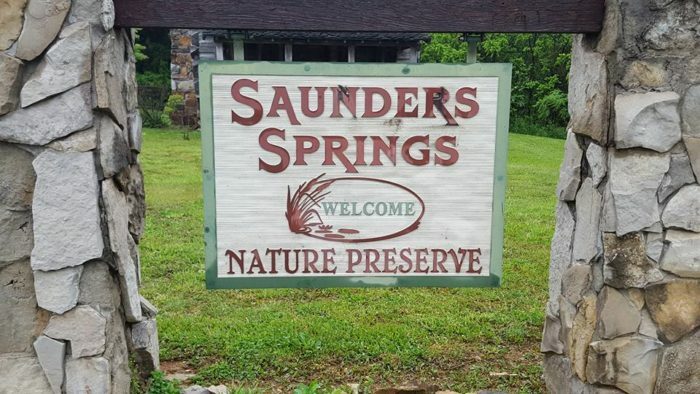 Saunders Springs Nature Preserve is located at 100 Saunders Spring Ln., Radcliff, KY 40160. For more information, visit the Preserve’s website here. 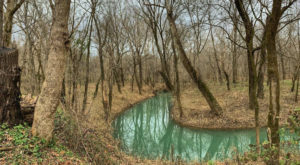 And for another nature preserve in Kentucky that’s worth a visit, check out our previous article here.